Another gorgeous day for a wedding, and this one was held outdoors. Perfectly timed for beautiful golden hour lighting, Jessica and Brendon's ceremony was short and sweet, with the wonderful Jewel officiating. 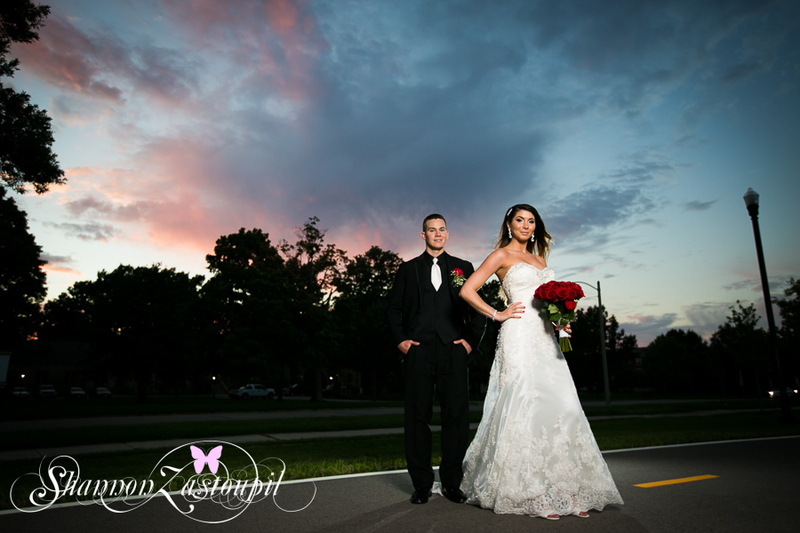 The DeKoven Center is an ideal location for a wedding and reception, with the impeccable gardens, and historic buildings - a photographers dream shooting location. Robin's Nest Cakery provided the beautiful cake and cupcakes, and Brossman's catered the delicious dinner. The girls had their hair and make-up done at Ulta, and the flowers were put together by Eileen at Floral Creations. As for the dresses and tuxes? Mens Wearhouse strikes again, as does David's Bridal and for the bridesmaids, La Sposa. Wedding at Veterans Terrace, Burlington, WI.